Photo of small scale section of Plate 109. Photo of small scale section of the North Pacific from Plate 109. showing the Marshall Islands at J9. 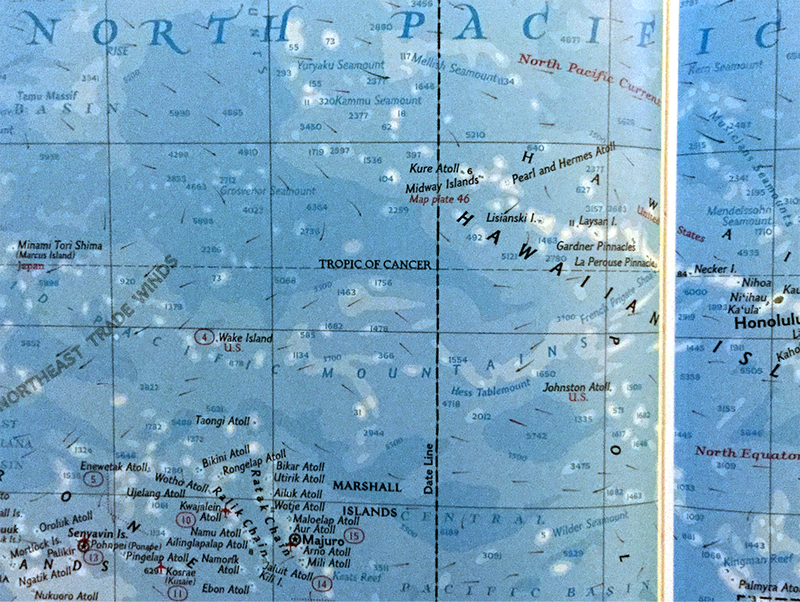 Photograph of section of Plate 109 of the NGS Atlas of the World (Tenth edition) showing the North Pacific Ocean, Marshall Islands, and Hawaiian Islands.